Are you a new rural landowner? Do you have limited experience in forage establishment, pasture management, and utilization? Are you interested in raising livestock? Are you interested in managing the wildlife on your property? Or, are you simply interested in becoming the best steward of your natural resources that you can be? If you answered yes to any of these questions, then you are a great candidate for the Texas AgriLife Extension Service Ranch Management University. WHAT IS THE RANCH MANAGEMENT UNIVERSITY? The Ranch Management University is an intensive 4-day event that targets new or inexperienced ranchers and landowners and covers the fundamentals of soils and soil fertility, forage establishment, pasture management, and utilization by livestock. Basic livestock management practices such as castrating, vaccinating, and de-horning calves are demonstrated. Grazing management, stocking rate, and body condition scoring are also highlighted. Additionally, several wildlife management topics are covered for those interested in managing white-tailed deer, turkey, quail, feral hogs, and farm ponds. Approximately one-half the workshop involves lectures and discussion, with the remainder consisting of the field demonstrations of various how to methods of soil sampling, planting, calibrating sprayers, and inoculating legume seed. 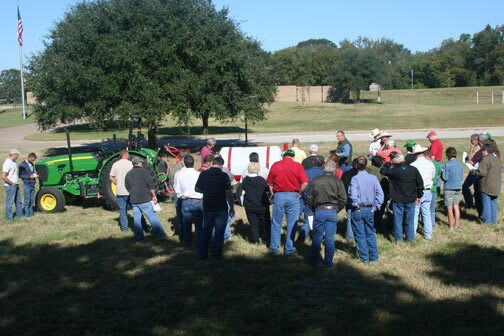 Various forage species, including bermudagrass, small grains, annual ryegrass, and clovers are studied by workshop attendees. 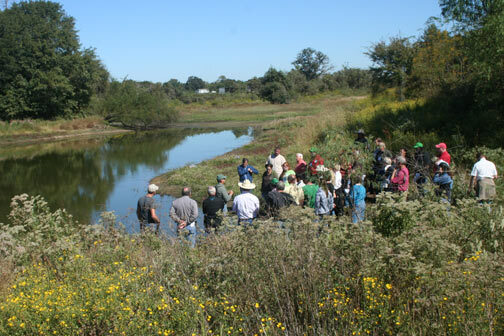 Additional demonstrations covers deer necropsy, hog trap management, and pond fisheries management. Plenty of time is allowed for interaction with Texas A&M University faculty with expertise and experience in all management facets of the soil-plant-animal interface and wildlife management. WHO SHOULD ATTEND THE RANCH MANAGEMENT UNIVERSITY? Rural landowners, whether you own 10 acres or 25,000 acres. Individuals who lived in the country as a child, moved to the city to make a living, but now have returned to the country to retire. Individuals who have inherited land. Long-time landowners who may have never had a good understanding of the soil-plant-animal interface. Anyone interested in natural resource management and land stewardship. WHAT WILL YOU LEARN WHEN YOU ATTEND THE RANCH MANAGEMENT UNIVERSITY? How to develop a business plan and maintain appropriate records for your ranching operation. Basic soil science and differences in moisture holding capacity, inherent fertility, and thus production capability. How to sample soils and determine appropriate fertilizer application rates. How to select the right forages for your operation. How to establish and maintain forages on your property. How to select the right breed of cattle for your environment. How to castrate, vaccinate, implant, and de-horn calves. What is the right stocking rate for your production system. What marketing alternatives are available and how to develop a marketing plan. How to manage the wildlife species on your piece of Texas. HOW DO I REGISTER FOR THE RANCH MANAGEMENT UNIVERSITY? 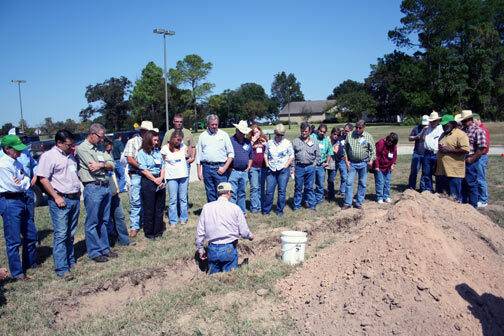 The Ranch Management University is held each April and October in College Station. Enrollment is limited to the first 50 individuals to ensure there is adequate opportunity for interaction with faculty. If you are interested in attending this special workshop, please contact us immediately. If you would like to register for the next event, please go to http://agriliferegister.tamu.edu and type the key words “ranch management” in the search window.